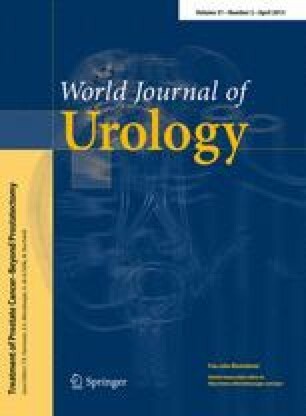 Current salvage treatments for recurrent prostate cancer after primary radiation therapy include radical prostatectomy, cryosurgery and brachytherapy. Because toxicity and failure rates are considerable, salvage treatments are not commonly performed. As most centers perform only one preferred salvage technique, the literature only describes single-center outcomes from a single salvage technique with a limited number of patients. In this overview, five high-volume Dutch centers describe their toxicity and outcome data using different salvage techniques. This provides a view on how salvage is performed in clinical practice in the Netherlands. A total of 129 patients from five different centers in the Netherlands were retrospectively analyzed. Biochemical failure (BF) was defined as PSA >0.1 ng/ml for the salvage prostatectomy group (n = 44) and PSA nadir + 2.0 ng/ml (Phoenix definition) for the salvage cryosurgery (n = 54) and salvage brachytherapy group (n = 31). Toxicity was scored according to the Common Toxicity Criteria for Adverse events (CTCAE v3.0). BF occurred in 25 (81 %) patients in the brachytherapy group (mean follow-up 29 ± 24 months), 29 (66 %) patients in the prostatectomy group (mean follow-up 22 ± 25 months) and 33 (61 %) patients in the cryosurgery group (mean follow-up 14 ± 11 months). Severe (grade >3) genitourinary and gastrointestinal toxicity was observed in up to 30 % of patients in all three groups. This overview shows clinical practice of prostate cancer salvage. Significant failure and toxicity rates are observed, regardless of salvage technique. Patients should be selected with great care before offering these salvage treatment strategies.